Come learn to express your creativity in watercolor. The instructor will demonstrate a painting each class. Lessons include the basics of color, composition, values, drawing and techniques used to finish a satisfying painting. Classes are informal and fun! Join us! Lou Ann Bower holds a Bachelor of Fine Arts degree from the University of Oklahoma and has 40 years of experience designing and painting in oil and watercolor. Her adult life after college, aside from being a wife and mother, has been devoted to pursuing painting and design. After graduating from college, she worked at Leo Burnett Advertising, Inc., in Chicago, Illinois, for two years and then married. She lives in Dallas, Texas, but travels frequently to New Mexico, Colorado and Michigan, where her daughter and grandchildren live. 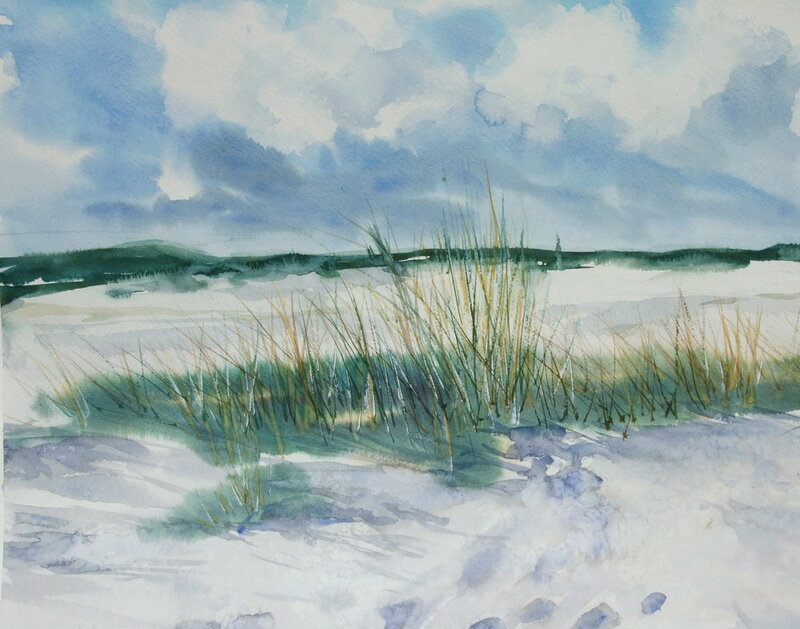 She draws much inspiration from the West and also from the picturesque towns along the east shores of Lake Michigan. Lou Ann has done commissioned paintings for private collections, as well as mural paintings for a church and oil paintings for business clients. She also created designs for her own fabric company, The Sierra Collection, for 13 years. She designed and printed fabrics for manufacturing products for her business and also designed promotional ads for the company’s collection of travel and handbags, clothing, and bed linens. These ads appeared in local and national magazines, including Vanity Fair and Texas Monthly, which brought sales to more than 380 stores, boutiques and catalogs. She has had experience in business, manufacturing, marketing, and creating original art for her company’s products. She closed the company in the mid-90s because of increased domestic manufacturing costs. 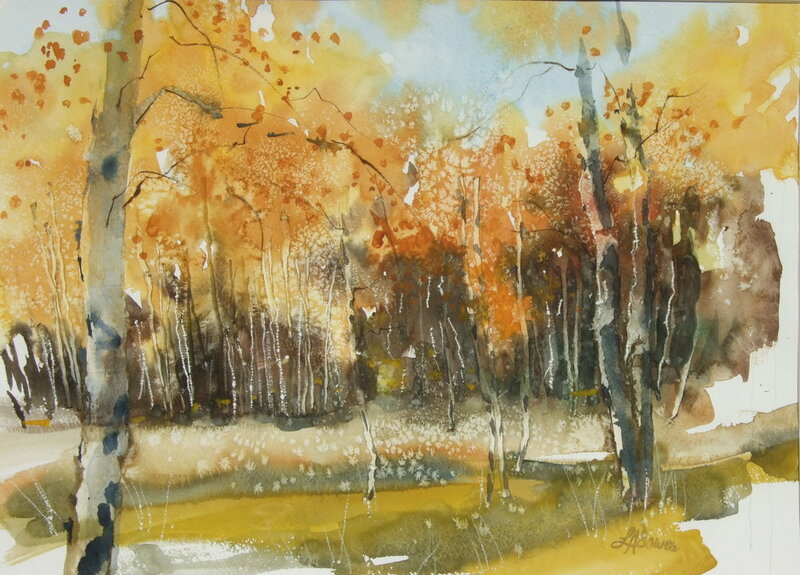 For years she has been focused entirely on painting and teaching watercolor and oil painting. She has been able to continue her love of painting and improve her painting technique. Watercolor palette - plastic pan with side compartments for paint with lid - 11 1/2" x 15"